Ultrasound in a patient, who presented with a left sided colic pain, showed dilation of the pelvis and calyces in the left kidney. The papilae are already blunt to convex but there is no cortical thinning yet suggesting grade II hydroneprosis. 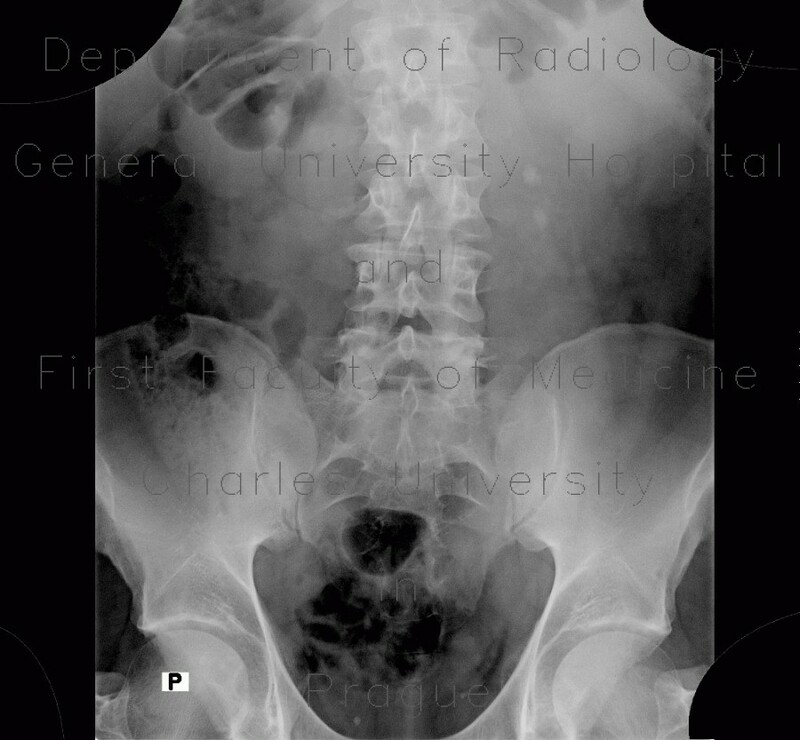 The KUB (kidney - ureter - bladder) plain abdominal radiograph showed two opaque shadows projecting into the left psoas muscle that represent urinary stones.